NuMe curling wand review covers 4 of it’s most popular curling wand like NuMe Classic, Titan, Lustrum, and Octowand. At the end of reading the NuMe wand reviews, you will get everything you need to know about them. 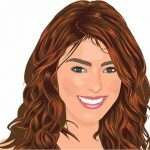 Curling wand from NuMe has some pretty impressive impressions among ladies across the U.S.A. Apart from the 4, there are some other curling wands of NuMe, but only the below reviewed 4 are much popular. All the reviews are prepared based on real-life feedback from ladies. I have started this review of NuMe curling wand with their Classic one because it’s most popular. Some said the wand gets freaking hot! And this is what exactly you need to curl your hair. You will get the best result if you have longer hair. Pretty great for loose curls and a good curling wand for silky natural-looking waves. Above all, the waves stay longer than usual. Being super hot within a short time, you should put on the glove that comes with the wand. The clipless curling wand lets you create the luxurious style to boost up your confidence. The wand is designed for professional performance and used in lots of salon near you. Why the professionals love it? Well, it gets super hot up to 410F within very short time and makes the curling process faster. Besides, to make it more convenient for curling hair, it has swivel power cord. The wand is made of 100% tourmaline-infused ceramic coating. This is why it can hold heat very effectively. Now, there is a side effect here. You see, the wand becomes super hot and it takes a while to cool down. So where should you put this meanwhile? On the countertop? Nope! You should have a heat resistant pad for that. It would be great if the pad came with the wand. Whatever, you should buy one. If you have naturally wavy, medium texture hair, you will love it most. Yes, there are some bad reviews and you should really read all of them. But what I have found out that most negative reviews are due to hair types. The wand does not work for all hair types. Especially, if you have thin hair, you should never ever try it. A lot of women with long hair have confirmed the fact that it took them more or less 10 minutes to curl their hair and their curls lasted long without even hairspray. Also, if you love to have beach waves, you should really try this. The dimension of the wand is 15 X 3 X 5.5 inches. It supports 110V to 240V of electricity. So, you should be able to use it anywhere you want. Comes in 3 colors: Black, Pink, and Turquoise. Long lasting curls. Even after 2/3 days, it leaves nice waves. Comes with a heat resistant glove that will save you from a lot of unwanted incidences. For better looking natural waves, it is really popular among ladies. Not just the exciting stuff, you need to know some ‘not so good’ stuff to have a complete review of NuMe curling wand. May not work great if you have ridiculously thick hair. If you have thin hair, may not be suitable for you. A highly expensive wand from Nume. It comes with 3 barrels which let you do any curling styles you can dream to have for any hair types. So, with its lightweight barrels & 3 interchangeable wands, the all-in-one curling wand really worths every penny. All the barrels are titanium made which are proven to be long-lasting. The barrels let penetration of infrared heat and negative ions deep into the hair cuticle in an even manner. That’s how your hair gets exceptional shine and the curls become very very long lasting. This tool is highly recommended to those who have thick to coarse or really untameable hair. It has the maximum heating capacity and the titanium-made barrels can hold that heat effectively. So, now you can have any sort of waves from ringlets to soft cascading waves and lush curls. The heating temperature ranges from 50°C to 200°C which is suitable for any hair types. And if you are wondering how hot it gets, well a lot of its regular users have confirmed that it gets really hot. Moreover, they have also recommended using the thin barrel for the thin hair and if you have thick hair, use the medium barrel. Curl obsessed ladies have confirmed that their curl remains for a very long time. However, you should be careful dealing with this and never forget to use a heat protectant prior to curling. Available in 3 colors like Black, Pink, and Turquoise. Dual voltage. Supports 110V to 240V. Travel-friendly, right? 19mm, 25mm, and 32mm are the barrel size. 8 feet long swiveling power cord. 122°F to 392°F temperature controls. Quickest time to curl hair. Sudden stopping of heating up issue. Contact with them and they will solve the issue. They call it the ‘beauty GURU’. Even if you are an amateur in using a curling wand, Lustrus can make you an expert. Just watch some tutorial video on YouTube on how to make curls using a hair iron. This clipless curling set is all you need for any sort of curling. Lustrous is 100% tourmaline infused and all the barrels are ceramic coated. The end result of tourmaline and ceramic is long-lasting style. Ohh…did I mention it has 5 interchangeable barrels? Yes, for maximum curling experience, Lustrous comes with 5 interchangeable wands. I will try to explain each of them. You can use the 19mm barrel for tight ringlets. There are 2 barrels of 25mm. One of them is used for glam curls and the 25mm Cone barrel is for glam curls to tight ringlets. So you need bouncy waves? Use the pearl barrel. For best result in beach waves, use the 32mm barrel. The wand can heat up to 410F or 210C. Super hot right? To protect your hand from excessive heat, it comes with a heat-resistant glove. Always wear that during hair styling. The barrels stay hot for a long time. So, unless you wear the glove, get ready to experience excessive heat! Changing barrels is super easy. The negative ions emitted from the ceramic can penetrate pretty deep for shiny curls. The heat distribution is even for damage free hair styling. Since it has 5 barrels, it is perfect for all types of hairs including thick, coarse hair to thin fine hair. As you have noticed, it’s an expensive set. But due to its versatile usage & quality, it really worth every penny. Use it for yourself or give it to your family members or friends as a gift. Can hold curls for 2/3 days. Please buy a heat resistant pad as well. Some incidents of sudden stoppage of work. This is the last one in this NuMe curling wand review. Octowand is a costly yet masterpiece hair ironing set from NuMe. As the name suggests, it has 8 wands in total. 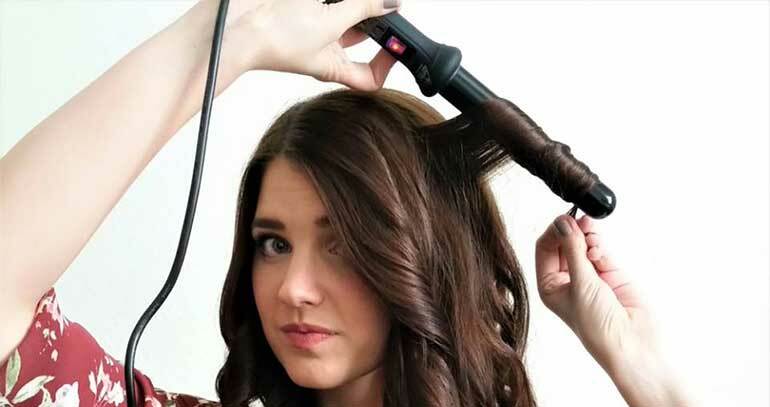 This is something you only see in the possession of professional hairstylists and now you can have it to curl your hair just like the way you want. There is literally no curls and waves that you can’t do with these 8 interchangeable tourmaline infused wands. To me, it’s the most versatile curling wand sets. Now let’s see what are these barrels. There are 13mm, 19mm, 25mm, and 32mm barrel. And in addition to pearl barrel, there are 18 to 9mm, 25 to 18mm, and 13 to 25mm reverse barrels. It comes with a travel case, so storing them is super easy. Also, it comes with a heat-resistant glove which you should always use while curling your hair. But, is this set suitable for your hair type? Irrespective of any hair thickness or whether you have damaged, dry, fine or coarse hair, it is absolutely suitable for you. From tight curls to bouncy waves, long beachy waves to spirals – do whatever you like with this most versatile iron set. To lots of its users, it’s the most valuable hair accessories collection that any women can have. It can heat up to 450°F in no time and you are in full control to set the temperature as you need. The digital display will show you the exact temperature. As far you can remember, automatic shut off and temperature control is pretty rare in NuMe wands. But Octowand has everything that you can dream of from a curling iron. But as always, it’s super hot which is beyond your imagination and it will burn you badly if you don’t wear the glove! Now, here is a Octowand video review for you. Dual voltage. Supports 100V to 240V electricity. 7 feet 9 inches long swiveling power cord. Digital temperature control settings from 170°F to 450°F. No hair damage issue nor any hair burnt smell. Highly recommended from experienced users. It’s really hard to include to some bad things in the NuMe Octowand review, yet here is a one for you. Sudden stoppage of heating up. Contact immediately if that happens to you to the manufacturer. I have covered 4 popular irons in my review of NuMe curling wand and tried to mention everything you need to know. I hope you will find it useful while making up your decision. Let me know in the comment box if you need to know anything else. 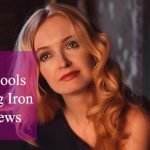 Recently, I have written a complete review of Hoot Tools curling iron. I think you might find it useful. NuMe curling wand review is written based on true and factual based information so that you can make your right decision. I was just wondering whether NuMe Lustrum comes with any travel case or not. I am having different opinions. Lustrum comes with a nice travel case, you should not have any doubt about that. I need a little bit more information on NuMe Lustrum. What are the barrel sizes? Also, it will be a great help if you can tell me how hot does it get. The barrel sizes are 19 mm, 25 mm, and 32 mm for tight ringlets, glum curls, and beach waves respectively. The maximum heat temperature is 410°F. Let me know if you need to know anything more about the Lustrum. 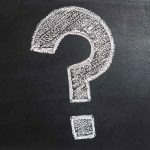 I have a question for the NuMe Lustrum. Does this come with the hand glove? It seems so pricey, it should come with one. Yes, Lustrum is a little bit pricey, but you should look how many wands you are getting to get different hairstyles. And yes, it comes with a heat-resistant hand glove. I have a question for the nume octowand curling wand. It has adjustable temperature settings, right? If so, what are these settings? You are absolutely right, Octowand has adjustable heat temperature settings and settings ranges up to 170°F-450°F. Hope this helps! So the cord of the OctoWand is swiveling, right? Can I rotate it as the way I want it? Yes, the cord is swiveling. So you can rotate the wand as the way you want it. For your convenience, I have added a YouTube review video on the Octowand, please watch the video and clear your confusion. I have a question about the NuMe Octowand. What kind of power plug does it use? Will it support standard USA power plug? I have this confusion for so many times. Hope you can help me? I am glad to help you! Thank for showing your interest on NuMe Octowand. Yes, it does support USA compatible power plug. It’s dual-voltage curling wand: 110V and 240V. The good news is it comes with the USA plug. I don’t know how does it sound to you, but does the NuMe Octowand comes in new and in a package? I am asking this because I have heard some ladies have received used one.How come I trust this one? Yes, it is new and comes in a new package. You should not have any doubt about it. You will receive the new one. If you follow my link to it, you can read a lot more reviews on the Octowand and get rid of your confusion.